The G Vista is a mid-range version of LG's flagship phone, a larger variant with similar looks and weaker specs for folks looking to save a little bit of money. Now AT&T has announced that it will offer the G Vista 2 as an exclusive in a matter of weeks. 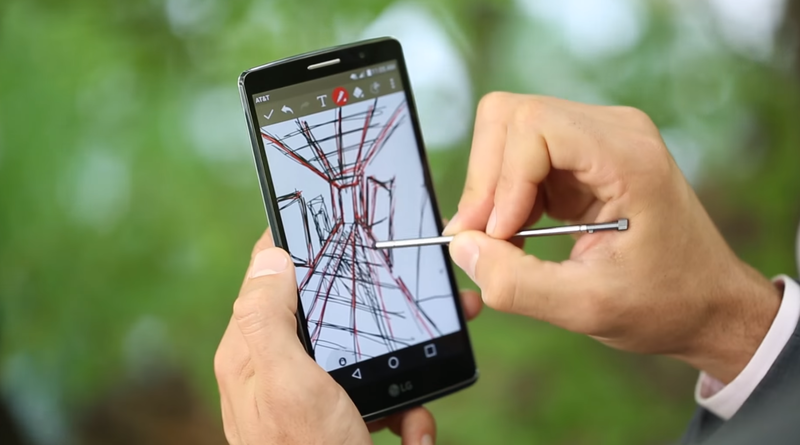 And this time LG is throwing in a stylus. This year's follow-up comes with a 5.7-inch display, a Snapdragon 617 processor, 2GB of RAM, a 13MP rear-facing camera, 16GB of internal storage, a microSD card slot, a 3000mAh battery, and Android 5.1. As you would expect, this is a step down from the G4's Snapdragon 808 processor, 3GB of RAM, and 16MP camera. Still, it's nice to see the battery hold firm at 3000mAh. The 5.7-inch screen is also larger than the G4's 5.5—just don't expect a comparable screen resolution. The G Vista 2's is HD, not QHD. This is not a budget device, so you're looking at paying $450 altogether. Or you can sign a two-year contract and put down $50 if you're still into that sort of thing. DALLAS, Oct. 26, 2015 /PRNewswire/ -- On Nov. 6, you can buy the all-new LG G Vista™ 2, only from AT&T1. Running on the nation's most reliable 4G LTE network2, the G Vista 2 combines a 5.7-inch full HD IPS display with a sleek new design. 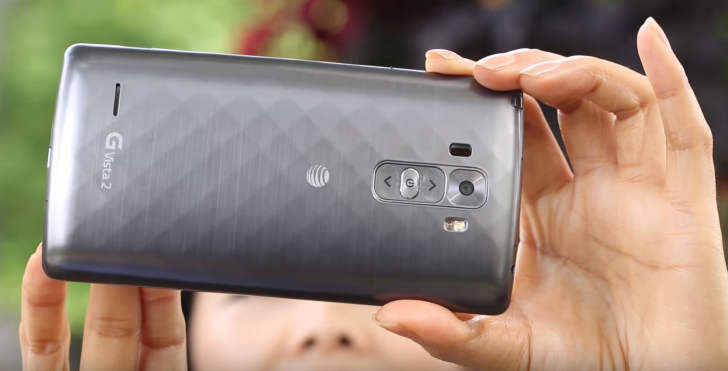 The LG G Vista 2 is a follow up to the popular LG G Vista and is the latest exclusive smartphone from AT&T. Its new design boasts a 5.7-inch full HD IPS display, curved back, and an embedded stylus for handwriting recognition and enhanced creativity. The Qualcomm® Snapdragon 617 Octa-Core processor and Dual Window mode lets you multitask effortlessly with split screen viewing. Cameras: 13MP camera with advanced Color Spectrum Sensor and Laser Defined Auto-Focus provides fast, accurate white balance and low light performance. With Gesture Shot and Selfie Light, the 5MP front-facing camera helps you take amazing selfies. Processor: Qualcomm® Snapdragon 617 Octa-Core processor, combined with 2GB of RAM optimized for speed and efficiency. Storage: 16GB on-board storage and compatible MicroSD cards3 of up to 32GB. Battery: Don't put your life on hold to charge. The 3000mAh removable battery helps power you through the day. Operating System: Android™ Lollipop 5.1.